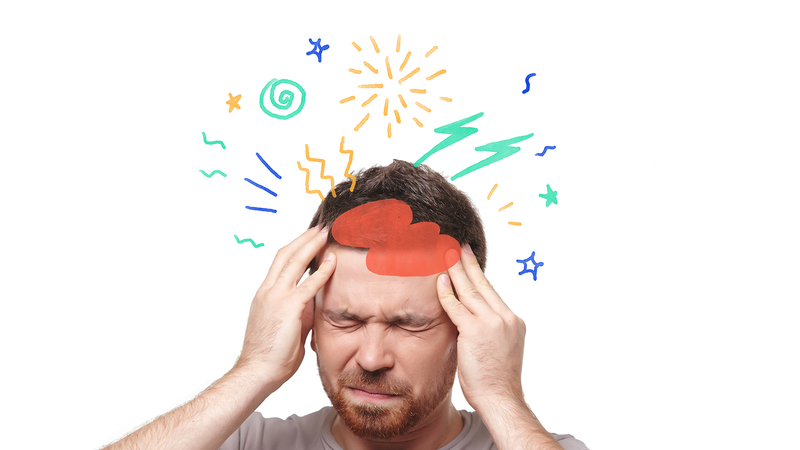 Did you know there are probably 100s of different headaches? Chronic meaning that it is there with the person throbbing away or being its fun dull nastiness all of the time with no break. Not fun. So these are probably the most common type of headache and can affect kids and adults and teens. They come and go over type and can be accompanied with tight muscles in the neck and face. These are often associated with poor posture, computer and device use. I see lots of these with students too. The pain location can vary between individuals . Length of headache and frequency and intensity also vary. Chiro treatment can help these immensely! These are very similar to tension type and affect the same group. Pain areas often incorporate the back of the neck and head then spreads to other areas of the head. On examination with a chiropractor it is determined that the joins of the neck or cervical spine are the likely culprit for these headaches with the pain being referred to the head from a disorder in the joints. Guess what – this one is spine associated therefore chiropractic can help this tons too! An aura can come in the form of visual changes – flashing lights, narrowing of vision – I have even heard of some people who temporarily lose their sight all together. You can have auditory changes (hearing), symptoms like numbness and tingling, nausea, gastrointestinal upset, if you can think of some sort of sensory change- it can probably be an aura. The aura usually precedes the pain of the migraine and so the migraine sufferer knows it is coming. Not all migraines have auras though. The pain of a migraine is usually described as intense, one sided (one side of the head) and unrelenting for a time. Many sufferers report light sensitivity, sensitivity to sound and other stimuli. Often people say they need to go to sleep to relieve the migraine. Regular chiropractic treatment has been shown to decrease the intensity and frequency of migraines. Usually this is due to sinus infection, chronic sinus irritation or some sort of sinus inflammation or other irritation. We have all experienced sinus pressure due to a bad cold or maybe even a sinus infection. 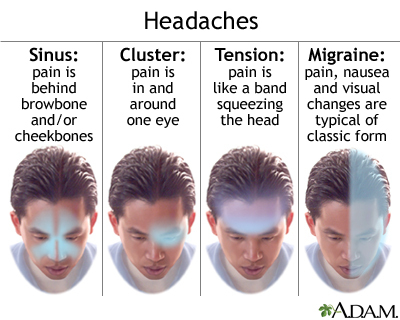 Here the pain is the result of referral from the sinuses to other parts of the head. If you have these take a peek at this article I posted a while ago about how to encourage your sinuses to drain – I do this lots during cold and flu season with my patients and I teach them how to do it themselves… It can really help with the pressure of a sinus headache!